The Aqueon QuietFlow series power filters, in my opinion, have so many great qualities for their price range. 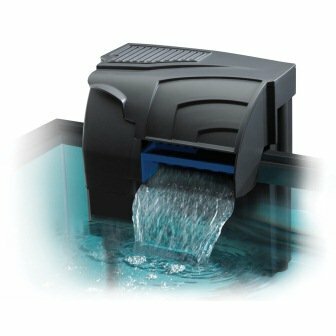 The series includes QuietFlow 10, 20, 30, 50, 55/75 models that are rated for different aquarium sizes from under 10 gallons up to 90 gallons. 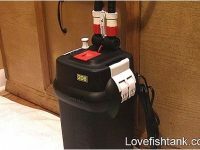 They’re certainly not the best hang on tank filters on the market, but as for “getting what you pay for”, I believe an Aqueon filter gives you what you should expect for the price and a little more. 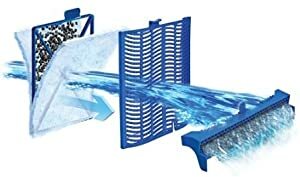 How to clean an Aqueon QuietFlow filter? 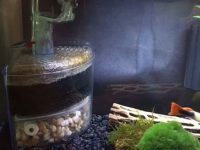 The filter you choose should be cycling the water in your fish tank at a minimum of four times the aquariums volume per hour. Let’s use a nice round 100 gallon aquarium for example. The filtration on this tank should be at a rate of no less than 400 gallons per hour. Aqueon QuietFlow power filters deliver high and enough flow rates for the tank sizes they are rated for. 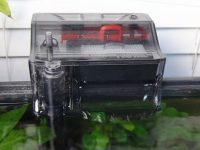 Please note that the QuietFlow filter does NOT come with a feature for you to adjust its flow rate, so you should choose the model that is precisely rated your tank volume or you have to do some methods to reduce the water flow if it is too strong for your fish. The QuietFlow filter uses a high-quality pump, which is fitted onto the intake tube, to create the water flow through its filter chamber. The pump itself is nice and quiet in comparison to a few other brands equivalent versions. The Aqueon filter is quiet overall and doesn’t bother you a bit, especially for the QuietFlow 55/75 model in my experience. Moreover, the diffuser grid of the filter reduces the noise from the output waterfall, thus reducing the noise even further. 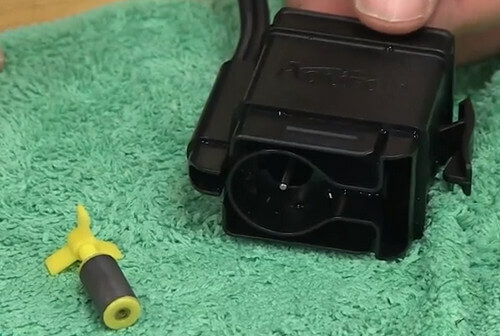 The favorite thing about this filter series is that its auto-start pump instantly draws the water into it when you plug it in. Whether there is water in the reservoir or not, it just works. I’ve noticed that on every other hang on tank filter system I have owned, they either take a minute to get going or actually require you to fill the reservoir manually, before running the filter. In the later picture, components from left to right: replaceable carbon filter cartridge, Bio Holster, water diffuser grid. The diffuser grid serves three functions. First, it is an even better place for good bacteria to grow and helps the water stay healthy. 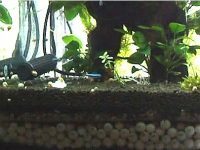 Second, because of the way the water is flowing through several small holes before rejoining the large body of water, it adds oxygen to the aquarium. The third function served is that it reduces splashing and this reduces the noise even further. The Aqueon QuietFlow series is designed for easy maintenance. The filter should be cleaned every week and the replacement filter cartridge should be changed every three to four weeks. 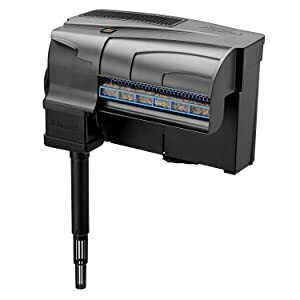 It is fitted with an LED indicator on its top that will flash to remind you when you need to change the filter cartridge. 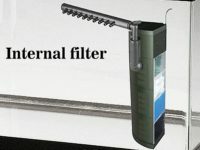 For maintaining the filter, only plug it out and disassemble its components for cleaning. I usually clean my filter when changing the aquarium water that happens every weekend. Remember to store the removed water from your aquarium in a clean bucket. You should clean the filter media and replacement cartridges with this water, NOT tap water. This will reserve the helpful bacteria in your filter materials. Remember to clean the filter and its pump, too. 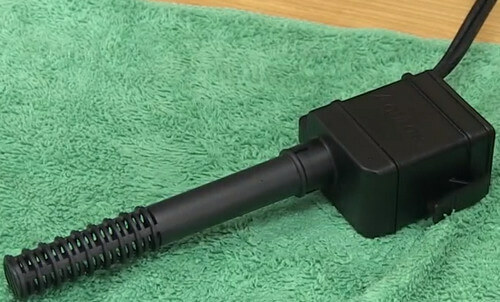 The pump and the intake tube both disconnect with ease from the body of the unit making it very easy to clean. The impeller is magnetically held in place inside the motor unit and is easy to pull out and just as easy to drop back into place after you have cleaned it. The Bio-Holster is too small for accommodating some ceramic rings for more biological filtration. 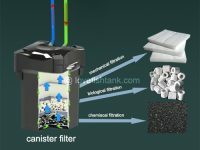 This is a great filtration system that definitely delivers what it advertises. It is quiet and it does a great job of keeping your water clear and healthy. The drawbacks are minimal. 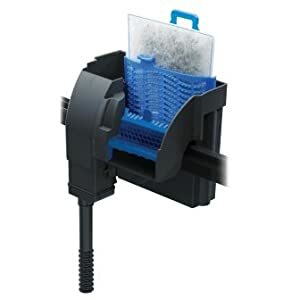 If you are a beginner without the worry of overly sensitive fish like discus, I highly recommend buying an Aqueon filter. It’s going to give you the biggest bang for your buck and the lifetime warranty gives peace of mind. If you’re more experienced and you just need higher quality, you can get it. This is not the best power filter, but the filter is affordable with the price tag that comes with it.